As I travel demonstrating the Creative Feet I keep getting asked the same questions regarding my appearance, such as. What started as a quest to not lose all of my hair, became a change in lifestyle that continues to surprise me everyday. I have more stamina, my hair is thick and long. In-fact, my hair is longer than it’s been since I was age 16! I can’t say that it’s one thing or even two that has made this change but a compilation of several changes I’ve made that as a combination has changed my appearance and my overall well-being and mood. I found that an under-functioning Thyroid was a key factor to reversing this. I didn’t have any particular condition, my thyroid tested in the “normal-low” range and that, explained my physician, did not require any treatment. However, a conversation I had with a Chiropractor years back kept playing in my head. This doctor, years ago had me hold my arms up in front of me and then pushed down on my hands; after doing so, he said I needed Thyroid food supplements. Now, given this was many, many years back and my mind was not as open to homeopathic medicine as it is now, I discarded the statement as “they are just trying to sell me this stuff”. However, I did in-fact purchase and attempt to use it until my “little girl” inside me said. “This stuff smells terrible and it probably doesn’t even work.” So, I behaved like a child and stopped taking it and am not sure how my life would have evolved had a taken it as prescribed. Years passed and life continued to be a struggle with food and weight from allergies that I’ve talked about throughout this blog, so to speed things up, this post is to share the products I’ve adopted as part of my daily regimen for those of you wanting to know. 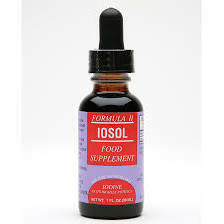 Liquid Seaweed drops full of Iodine – this one has more Iodine per drop than competitors that I’ve researched. You can find it at Nature’s Grocers, New Frontiers and probably may other health food stores. I attribute this to the elimination of several symptoms that I had prior to using the drops. I had been conducting my own science experiment on my hair health because me and many others I know were all experiencing hair breaking off in 1″ segments and it curling up and pointing out in odd directions. We thought it may be the increased use of Hair Straighteners, burning the hair, however I was also losing mine at an astonishing rate as pictured in past posts. I went from losing hundreds in a single washing to only 14 from only 1 drop, when I should have been taking 1 dropper full of the Atomodine! I also went from not being able to walk around the block without fear of twisting and ankle – couldn’t reach my toes, had lost all of my flexibility and suddenly got it back from again, 1 drop. I had an incredible, almost superhuman amount of stamina and strength from -1- drop! I have better mood, a clearer mind, more energy, less wrinkles, clearer voice, more range in my singing voice, eyesight improved and has stayed steady for years, hair doesn’t break any longer, stopped losing hair so much I can clean my brush once a week and see what I use to lose in one brushing and the list goes on….. I am allowed only a small amount of liquids on my flights and I always use up part of that with my bottle of Atomodine for fear of all of that changing should I stop. 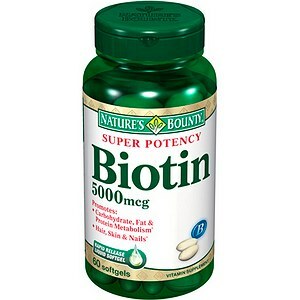 I purchase a Biotin vitamin capsule (non wheat) I use the cellulose capsules because of exposure risk of Tocopherol derived from one of my allergens, used to release vitamins from molds. I purchased Nature’s Bounty and ingested 5,000mcg/day for about 1 year. I recently discovered I can take 10,000mcg/day and began that dose in December, 2013. I’ll make notes if I see any changes. NAILS = I had ridges on the surface of my nails that clearly stop when taking Biotin and when I stop for a few days they reappear. Proof to me we/I need this vitamin and know that they are not all created equal – this one works! Hair is thicker Atomidine stopped the breakage and fall out but Biotin seemed to give rebirth to all of my hair follicles and now, after a year of being diligent about taking it daily, my hair is officially longer than it has ever been in my lifetime and so thick it’s almost laughable if I don’t use my process to control it’s natural curl. I use Mother’s Bragg Brand unfiltered (keep it as natural as you can) however, I’ve used other’s in the past with similar results and it’s great for cleaning. I place 2 TBSP of ACV into a glass and add my daily dose of Atomodine into the glass, add a bit of high quality cinnamon for it’s health benefits and then add equal parts of water. I sometimes add locally produced honey, to help with plant allergies but normally just add that into my baked bread. I drink this down (fast) and then wait about a minute before drinking an entire 16oz cup of room temp water. The philosophy behind drinking it this way, is that you’re cleansing your body of most toxins early in the morning. Drink a little water at a time and the body doesn’t know that there is plenty of water around so, it stores water with toxins inside body tissue. By drinking a large glass in less than 5 minutes, it signals the brain to release stored water because it believes there’s plenty and you’ll be running to the bathroom in minutes. It’s pretty much the way I consume my water most of the time, it’s time efficient, the body releases water faster so you’ll urinate longer and less often than if you drink a little all day long. (At least that’s proven true for me.) Since every (BODY) is different, I encourage you to make your own science/body experiments and see what works best for you. Go ahead laugh! Yes, I use this because it’s one of very few skin ointments I can use with my list of allergens… Since egg, almond, lemon and wheat are in so many in one form or another and that ever frustrating life-threatening Wheat-based Tocopherol is in just about all bubble bath, lotions, perfumes, hair sprays, shampoos and conditioners. This is my hand and face cream and the only thing I place on my face other than my shampoo (used for hand soap throughout my home and no-one can tell) and ACV. 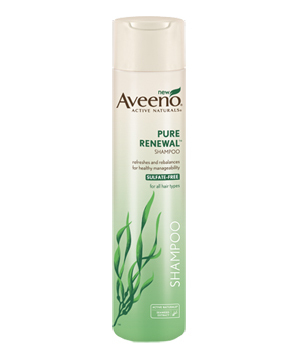 I wash off makeup, using shampoo (AVEENO GREEN BOTTLE=NO WHEAT) and follow up by using ACV as a skin toner and I go close to eyes as well – it removes the dark color around eyes but be cautious, it’s strong smelling and will burn your eyes.. I don’t believe it will do any damage to eyes, but it will for sure burn (feeling wise) if it gets in. I’ve gotten it in my eyes countless times with no lingering symptoms. I am so happy with the look and tightness of my skin around my eyes, I will continue to use it and smile through the burn. 🙂 I remember when my daughter (makeup artist) did my makeup for a TV spot and she had to lift my brow to place eye shadow because the skin was sagging and loose. Now, it’s tight and I see better because the skin isn’t sagging and weighing down on the eye. After cleansing with shampoo, toning both hands and face with ACV, I follow up by rubbing the Medicated Chapstick all over. My face and hands have lost age spots and the veins that show our age on the top of our hands reduce in size, the skin brightens and evens out. 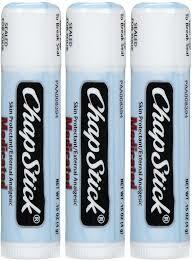 After al lthe toning with ACV I do facial muscle exercises (a blog for another day) as I rub in the Medicated Chapstick. Be sure to add a lot around the crows feet so you can say “bye-bye” crows feet tomorrow! Grocery shopping has changed considerably! Normally, I would be prepared with list-in-hand and rarely referred to it, as I knew what I liked and what foods I should eat. I knew the foods that were healthiest for my diet and was dedicated to being healthy for a few years now. Little did I know, just about all the food that I was accustomed to preparing, were secretly making me ill. When I say ill, it wasn’t easily identifiable – I didn’t go into Anaphylactic shock or display any outward signs of having a serious allergy. I knew however, that I was not feeling as good as I should based on what I was eating and I was tired of popping a pill just to eat. Sometimes, one pill (antacid) wasn’t enough. Years before the drug companies released the convenient pills they offer today, I would frequently spontaneously vomit after eating. Sometimes I wouldn’t reach that level until 2 – 3 am when I’d wake sweating and salivating until I finally just forced myself to regurgitate. I spoke with my doctor about it and he said to try eliminating foods to determine which ones were making me feel sick. Years of eliminating served me little and I wasted a lot of money on pills, avoided some foods I am not allergic to, I was finally eating so little that I was a complete bore at gatherings where pot luck meals are served. I stared at the spread of food with a fear knowing later that night, I’d be suffering. Another conversation I had with my doctor was that I wasn’t breathing well, I picked up a pamphlet in his waiting room on asthma and I had all the symptoms listed and after reading it and thinking about it, I realized I’d always had these symptoms. I remember being as young as 8 and feeling as though I had to ‘Think to Breathe” and if I had to give you a number for the times I lost consciousness during my lifetime, it would surely be over 300 times! I remember thinking this is what was wrong with me all those years! I have asthma! What a relief to understand my problem, but I was mistaken. I did have asthma symptoms but I had what the doctor classified as Allergy Induced Asthma. It doesn’t come easy when all of a sudden you know that you shouldn’t eat all the foods that you like. A friend of mine suggested that I simply take all of the foods I can’t eat any longer and get them out of the house. Of course this is easier if you live alone, for those of you that have a family to deal with, perhaps making the garage fridge yours, or theirs could help. I listened to the suggestion and looked at myself in the mirror and said, this is a “good thing” you know why you’ve been getting sick. Today is the day you stop feeling sick after you eat! I prepared myself for this task and started to actually get excited at the prospect of not needing to pop a pill to make my stomach settle down after eating. You see, I’ve been dealing with quite a few symptoms from eating these foods that I once considered healthy. I had been trying my best to do as one doctor had suggested – to eliminate foods to determine which foods you’re allergic to. I can tell you this, that was a waste of time and only made me suffer unnecessarily for over a decade. If you’re only allergic to one food this may be possible but if you’re allergic to garlic like I am, you’ll find it nearly impossible without a blood test. If you want to see just how hard it is to eat food without eating garlic, go into your fridge right now and start reading the labels. You’re going to be shocked at how little is left in your house that doesn’t contain some garlic, including just about all of my salt-free (trying to be healthy) seasonings. In just over 2 hours, I had an almost empty refrigerator and almost empty cupboards. Keep in mind that garlic is not my only allergy, it’s just 1 of 10. I sat there on the floor, staring into the shiny glass shelves and pondered about what I would be putting on them now that just about every salad dressing, bread, marinade, ketchup, mustard, mayonnaise, (even the healthier choice I’d already had been eating) and last but not least sweet pickle relish had been eliminated from my choices. Once it was all out in my garage fridge, I cried again. I didn’t sob, just a few tears and days of tearing up followed…. I started by crying and believe me, I was once again shocked! How could I possibly cry about such a trivial thing? How can being told you can’t eat something make anyone cry? It’s so childish, so immature to act as if not eating something could ever be worth shedding tears over. In order to understand better, you should know that I love loved making salsa and used it as a condiment for just about every meal. I make made it very well and had been asked to make it by those close to me and all this time, all these many years, I’ve been eating 2 to 3 different foods I’m allergic to practically every day! I had just completed a large batch of my salsa and it wasn’t hard to find takers for those large jars full of some of my favorite things. I actually didn’t give it away for 4 days, I suppose I was in the denial stage because this was a death – death of food. If you think I’m silly, think about opening up your refrigerator and looking into it and suddenly you have no idea what to eat, how to make it and realizing that you basically have to learn how to cook all over again!